Looks like they're ready for the final building. I wonder when it gets started? "Never go to a doctor whose office plants have died"
Sooner the better, I am excited about the last building. Finally some height + concrete to finish off the Railyards. Is there a separate thread for the final phase? I am digging the 360 sq/ft studio layout, small balcony to boot. Incentives will be revealed tomorrow to registrants. To register, click here. 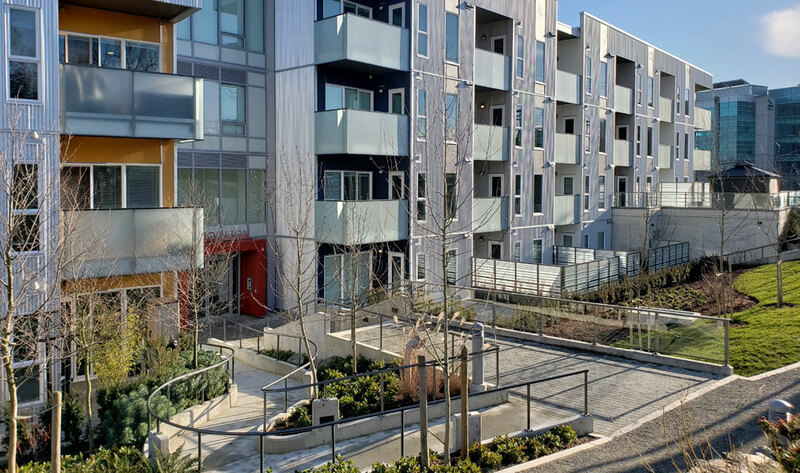 Developer Le Fevre & Company will be announcing market-leading incentives for remaining condominium inventory at Horizon 2, the second-to-last phase of the masterplanned Railyards community in Vic West. The final phase, Horizon 3, is expected to get underway by year's end. 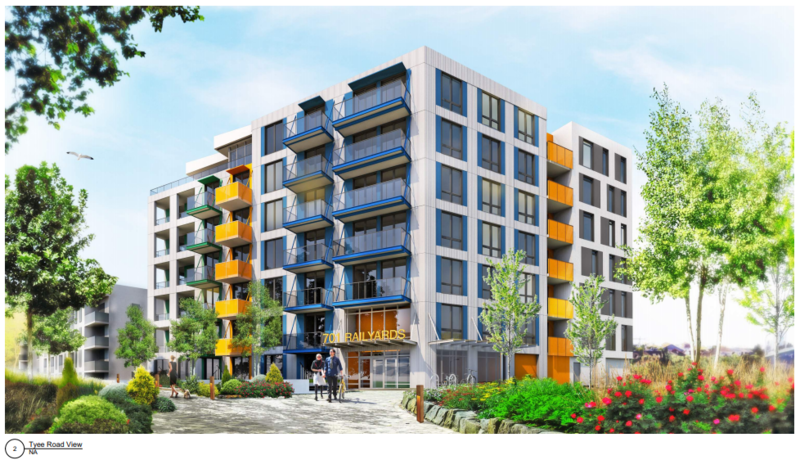 Market-leading purchase incentives announced for un-sold condominiums at The Railyards development’s Horizon 2 building are targeting buyers in search of a move-in ready residence or investment property. With municipal approvals just around the corner for the final phase of Le Fevre & Company’s 13-acre masterplanned community, the newly-built Horizon 2 is poised for a quick sell-out ahead of developer Chris Le Fevre’s culmination of nearly two decades of Railyards construction with the launch of the final phase. Ready to move on to the final phase, the development team is offering generous pricing discounts before launching the final build. Nah, don't be so negative. When Ford announces a year-end clear-out people respond by buying up the inventory at a lower price. This is no different, really. Le Fevre just wants to clean the slate ahead of the big launch of the last phase which I think we can all agree will be a monumental project for him and the Vic West community. Horizon Phase I, two years ago, had unsold inventory upon completion, 595 did, the Era did, etc. They basically all did except for a handful of projects, but the inventory just wasn’t promoted to the extent it is today as the pool of buyers was larger due to there not being the stress test, etc. In fact I would say the stress test in markets like Victoria where locals compete with wealthy retirees is where the program breaks down. It’s one this if you’re living in Regina and the stress test forces you to go from a $175k condo to a $160k condo, but it’s quite another when you’re forced out of the market entirely because you no longer qualify for an $X condo, and it’s the lowest priced opportunity on the pre-sale market. Era was like 2015. Ancient history. Its not exactly a big secret that there is a slump in demand. Its not the end of the world but pretending it isn't happening won't make it go away. No, of course not, but we need to get away from the “there never was” sorts of comments when they’re not true. When did the last Era unit sell? Right, and the one thing government or federal institutions rarely do is admit a failure or rescind an unproductive measure. The stress test, while rates are stagnant and on the verge of falling, is not only counterproductive but pretty meaningless. Only two units remain from approximately a dozen that were available at the start of the sales campaign. Keep us posted if you hear anything about the start of the next/last building. Will be great to see the whole project finished. Edited by songheesguy, 23 March 2019 - 08:56 AM.